Sitting in the East Midlands of the United Kingdom is the little parish of Nottingham, England. 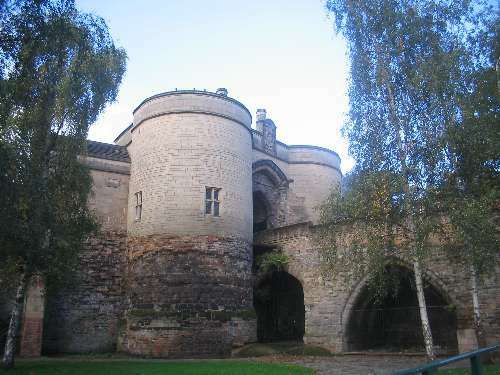 Best-know for its two playhouses, the Theater Royal and Nottingham Playhouse, Nottingham attracts most of its tourist because of the Nottingham Castle that the legendary Robin Hood has made famous. Traveling to this part of England can be difficult for pet lovers, because a lot of the local hotels do not allow pets. However, there are some pet-friendly hotels in the town that will interest you. One facility, the Hilton Nottingham Hotel, allows the guest to have their pets stay with them in their rooms, but the pets are not welcome anywhere else. A small fee must be paid when checking into the hotel for this courtesy. Each guest room provides you with Internet access, private baths, cable television and a coffee or tea maker. You can upgrade to the suites if you want additional amenities. The foreign guests can exchange their currency for the British pound or Euro at the front desk if they are running short on local money. The hotel provides a solarium where you can relax and enjoy a book or you can workout at the hotel’s fitness. A leisurely swim at the pool will cool you down from a long day of activities. A hearty breakfast awaits you at the Bar Boca, located on-site and you can end the day with diner at the Hilton Burger, where drinks, locals ales and cocktails are being served. One hotel in Nottingham only allows dogs. The Lace Market Hotel is happy to grant access to their guest rooms to your canine companion, but it comes with a daily fee. One benefit of staying at the hotel is the complimentary access of the nearby Virgin Active Health Club. There you will find yoga classes, a swimming pool, fitness center and other exercise classes. The hotel provides a light breakfast or lunch and diner at the Merchants Restaurant, located inside the facility. A British pub is attached to the side of the hotel in case you are in need of a local ale or end your busy day at the cocktail bar. Just a short walk away from Nottingham Castle, the Lace Market Hotel places you in close proximity to the caves running under the town, the Nottingham Caves. Another hotel is happy to permit pets in the guest rooms, as long as you get permission beforehand. The Jurys Inn Nottingham Hotel will only allow pets to stay if you have paid an additional fee and contacted the management before arriving so they can prepare a guest room for you and your animal friend. Each room is equipped with cable television and has Internet access. Any guest with special needs is also welcome at this Nottingham hotel. Some of the rooms are designed for wheelchairs and others that need special attention. You can choose to do your own laundry at the hotel’s laundry facility or send out your garments to the dry cleaning service provided. The Jurys Inn restaurant serves guests contemporary cuisine, but with an English flair to the flavors. The hotel bar is always open to those guests needing to relax and enjoy one of their local wines or even a cold ale.